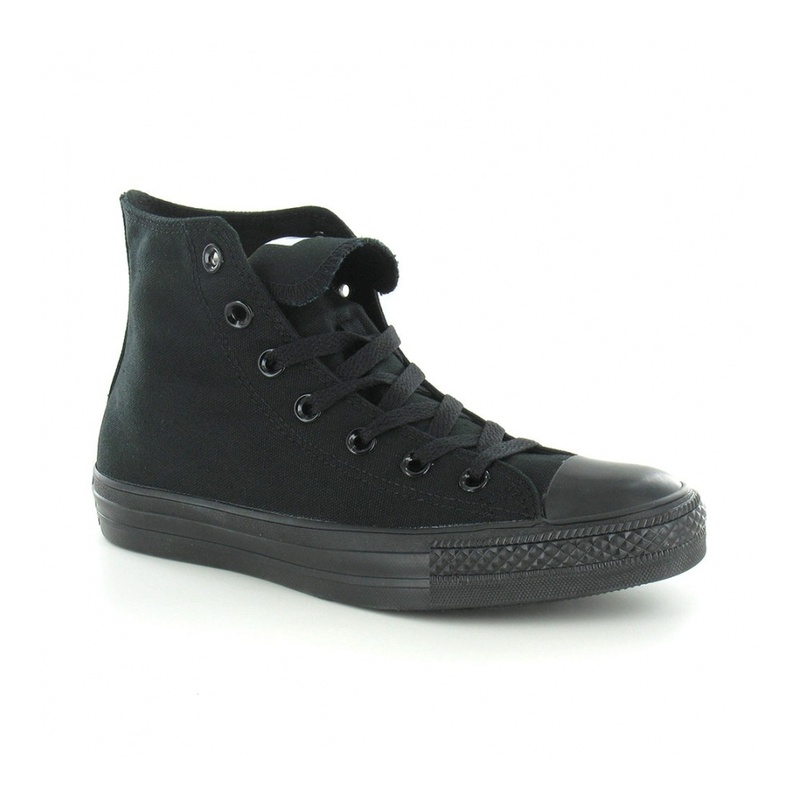 With a canvas upper, the mens and womens Converse Chuck Taylor All Star's have a protective rubber toe-cap that adds greater durability and strengthens the boot. From here the lace-up runs up the front of the boot, fastened with flat, black laces and lined with a parade of black glossy eyelets. The instep of the unisex canvas basketball boots are branded with the 'Converse All Star' emblem over the ankle and two breathable eyelets near the sole that allow air to circulate around the foot. The flexible sole unit of the mens and womens All Star boots provides a comfortable and tactile experience and are able to smooth out bumps and shocks, ensuring that whether you're thrashing your mates on the court down your neighbourhood park or hanging out with your friends, your shoes won't get in the way of your fun!